If you are sitting there with your fabulous beauty brand and dreaming about your global takeover, but thinking that it would be absolutely impossible to launch and actually be successful in the beauty industry anywhere else in the world, far less your home city, especially somewhere as fabulous as Dubai then you are wrong - it certainly CAN and DOES happen! 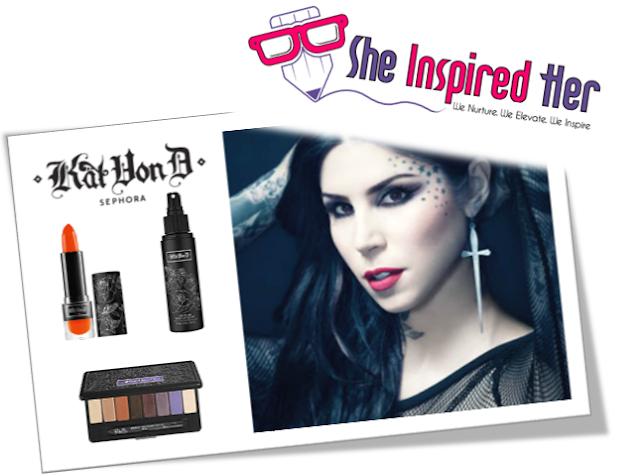 Today at Beauty in Dubai we take a look into the incredible journey of Tattoo Artist turned make-up brand extraordinaire Kat Von D, who went from being a popular tattoo artist on reality tv to having her own full range of cosmetics stocked in Sephora Dubai, with more stock of her fantastic range being available in the Dubai store than even in her home states in the U.S! A great example of what is possible when doing beauty business in Dubai and how accepting the Middle Eastern beauty market and its consumers can be of products and brands from around the world. Katherine von Drachenberg, known as Von D, excited Dubai’s fashion and beauty scene with the launch of her makeup line at Sephora in Dubai, United Arab Emirates in 2015. Despite not having a look or style that anyone would usually associate with Dubai at all; pale gothic tones, vamp styling and blood red lips, this stunning beauty stood out from the crowd and managed to attract Sephora’s attention, leading to her range being a huge hit in Dubai! Beauty in Dubai Founder Crystal Emmanuel also known as Crystal King UK quoted “Kat Von D unquestionably landed the great deal with Sephora by being out there, being available and being different – she had her own style and her own palette and there was a space in the market for the look that she represents. 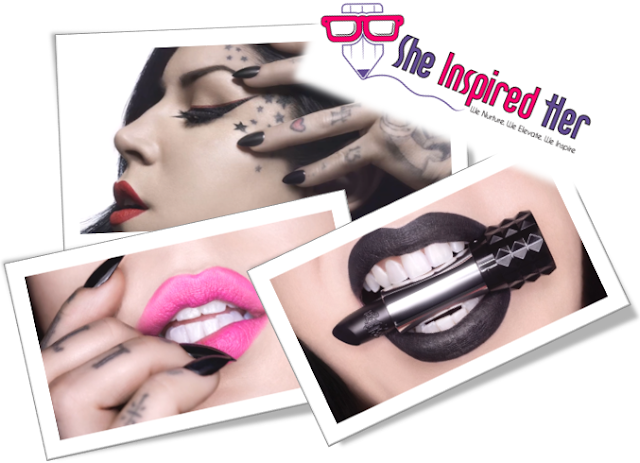 In a market where many brands were doing all the same things, selling all the same products and catering to all the same looks Kat Von D filled a gap in the market with great ease to deliver to a crowd that were just there waiting for her – a lot can be learned from this”. 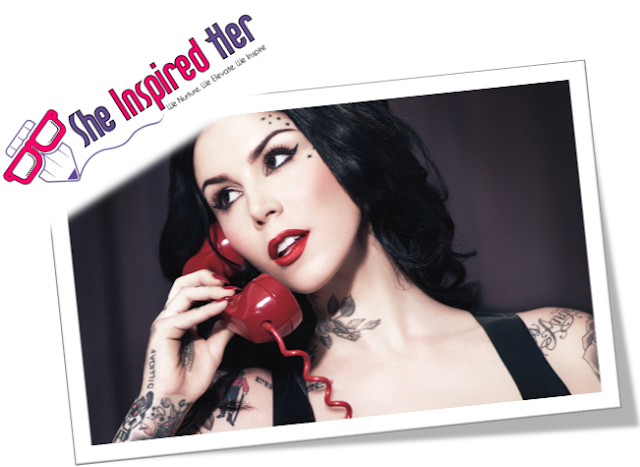 During an interview in Dubai for the launch of the Kat Von D makeup line, Von D herself mentioned: “…after the success of the television shows and everything, I think that was the initial interest that Sephora saw in me like ‘Who’s this girl and she’s always wearing red lipstick… and we should talk to her’, and then when we finally met it just became a really great collaboration”. They clearly saw her standing out from the crowd and knew that there would be a market for her and they were right! There is a definite appeal to being different and bringing something fresh to the table. So how did Kat Von D relate to the Middle Eastern women and how could they relate to her? When asked how she managed to turn the crowds in Dubai to being fans of her range Kat Von D said, “The women of the Middle East are not afraid of a bold eye (make-up) and I love that because that’s how I feel about make-up in general”. Her range both caters to what Middle Eastern women already love while also giving them the chance to explore new trends and styles. Her red lipstick range comes in multiple tones to cater to all skin tones, allowing everyone to have a signature red that they love! We believe that as well as standing out from the crowd, Kat Von D’s positive mental attitude certainly contributed to her success, in an interview with Najla Kaddour in Dubai, when asked about the biggest challenges she faced on this journey, Kat Von D remarked “… I don’t see much challenges. Making my connecting flight was more challenging to me but that’s not much to complain about”. How inspiring is she! So there you have it - stop seeing the limitations and start seeing the possibilities! Beauty in Dubai is a Professional Beauty Networking Retreat to Dubai UAE for Beauty Enthusiats and Beauty Professionals alike, taking place annually. The next Beauty in Dubai trip takes place this year from 12th-17th May 2017 flying guests into Dubai, UAE for a Beauty Networking experience like no other including a visit to the 3-day BeautyWorld Middle East expo at Dubai Exhibition Centre and full of opportunities and treats for all attening! Check out this cool video interview with Kat Von D by Dubai Demand for more inspiration and a deeper look into her journey and doing beauty business in Dubai!